Dharma Hutani Makmur. Supplier from Indonesia. View Company. We are one of the only fully integrated charcoal producers in the world. All our dense hardwood comes from our own 41, 545 hectare industrial forest concession. 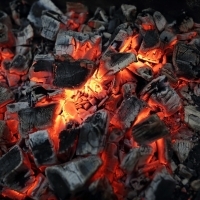 We process the hardwood to lump charcoal sizes in our own modern factory of 20, 000 sqm and then carbonise the wood in closed retort systems to over 500 celsius. After the charcoal is allowed to cool we then sort the charcoal into sizes suitable for packaging as blackwood hardwood lump charcoal and all the smaller pieces and charcoal fines go to be processed in our 3 tph briquetting line. 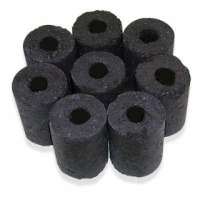 Both our hardwood lump charcoal and hardwood charcoal briquettes are of very high consistent quality due to our production methods and quality control systems. 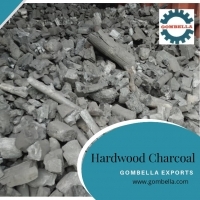 As well as producing our blackwood packaged and branded charcoal we are also happy to produce for you as oem/white label solution. Description: Ideal for your all-round barbequing needs, after lighting your grill will be ready in no time to sear, smoke, satay, sizzle, flame or chargrill your favourite foods. Available in packaging sizes from 2.5kg and greater. 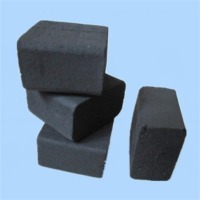 Product name BBQ Charcoal Keyword BBQ Charcoal Charcoal Specification Black color BBQ charcoal - pillow shaped coconut charcoal briquettes Photograph attached. It would be 42 grams weight of one pcs pillow shaped as u can see in pics Size is 40*40 mm all four sides 4/4 cm . Lab report will be provided. 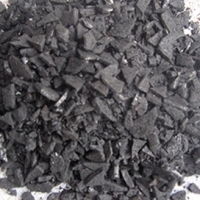 Detailed Product Description Charcoal Grade/Size: Industrial: 1mm-25mm Barbeque: 20mm-80mm Restaurant: 50mm-200mm No sparking, Produces White Ash, Easily ignited, Smokeless and Odorless and long ignition hours. 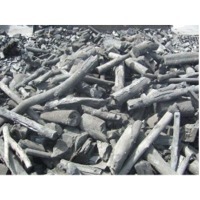 Our charcoal specifications: Moisture content - 3% - 8% Ash content - 1% - 4% Volatile matter - Max. 15% Fixed Carbon - Min. 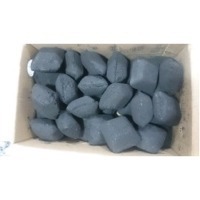 75% PRICE: PRICES differ according to packaging method used and according to the Charcoal size- Bulk delivery into container or delivery in bags like the 20kg, 32kg PP Bags.